As the weather cools down and the action on the field heats up, you'll be covered in plush comfort with this stylish throw. Adorned in your favorite school's colors, they make rooting for the home team a warm and fuzzy experience. Your team's so good this year it gives you the chills. 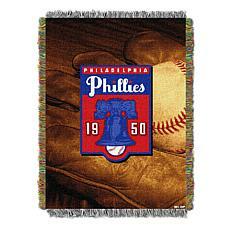 This oversized polar fleece throw will warm you up on the couch or at the stadium. Complete with your favorite team's logo and full 2018 schedule, it's bright, colorful and brings your team pride to life. 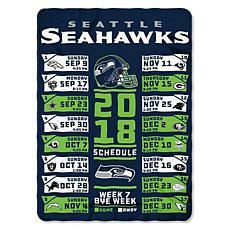 The Northwest Company Mini Throw Whether you're keeping warm at the game or accenting your room, you can root for the home team in fashionable style. Attractively woven representing your team on the gridiron, no true fan should be without one. The Northwest Company Double Play Throw Whether you're keeping warm at the game or accenting your room, you can root for the home team in fashionable style. Attractively woven representing your team and their hometown, no true fan should be without one. The Northwest Company Throw Whether you're keeping warm at the game or accenting your room, you can root for the home team in fashionable style. Attractively woven representing your team and their hometown mystique, no true fan should be without one.